Spring time has arrived and there is no better time than now to do a bit of spring cleaning, to get your house in tip top shape now that the cold winter months have finished. So what better way to tackle all those tasks on your to do list than a Spring Cleaning checklist. Winter tends to be fairly mild here in Queensland, but still the cooler weather means less time outdoors and a few tasks getting put aside until the weather warms up again. You don’t even want to see the state of my veggie patch right now, despite my best efforts to keep my garden healthy over winter. Oops! And lets not even think about things like washing windows when it’s cold. 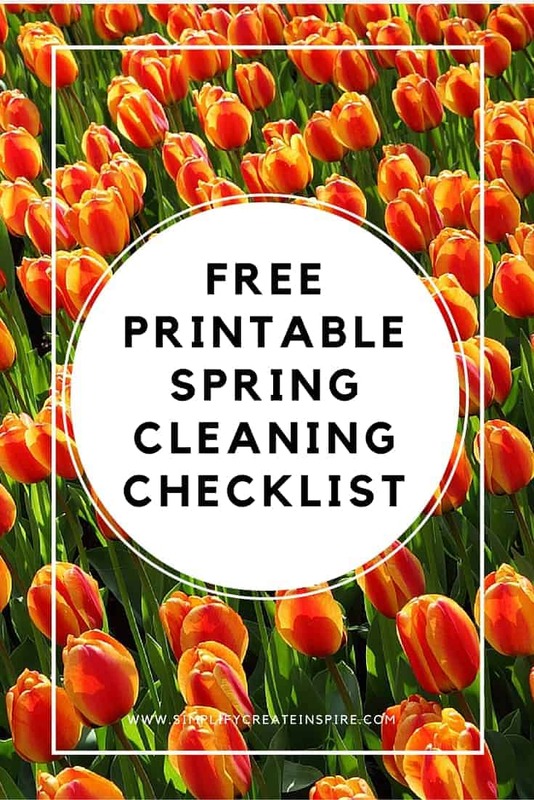 But now the sun is shining, the air is warmer and there’s all the motivation in the world to get started with my Printable Spring Cleaning Checklist. To simplify your life and help you stay motivated and on track, I have created a pretty Spring cleaning checklist printable for you to download. And if you happen to be from the other side of the world, where it is Autumn instead, there’s no reason why you can’t do an Autumn clean… or whatever other season it is you may have stumbled across this post. Any time is a great time for some home cleaning. While you are at it, you may also want to ensure you are on top of your home maintenance as well, and luckily there is a checklist for that too, so pop on over and grab that one too while you’re here. We are all about ways to simplify your life because simple living makes more time for the fun stuff! Haha yes you do! An injured one at the moment but still great. My checklist is super pretty though. Great checklist. I like to do my Spring cleaning right before Halloween. Thanks fro sharing your checklist with us at Merry Monday.